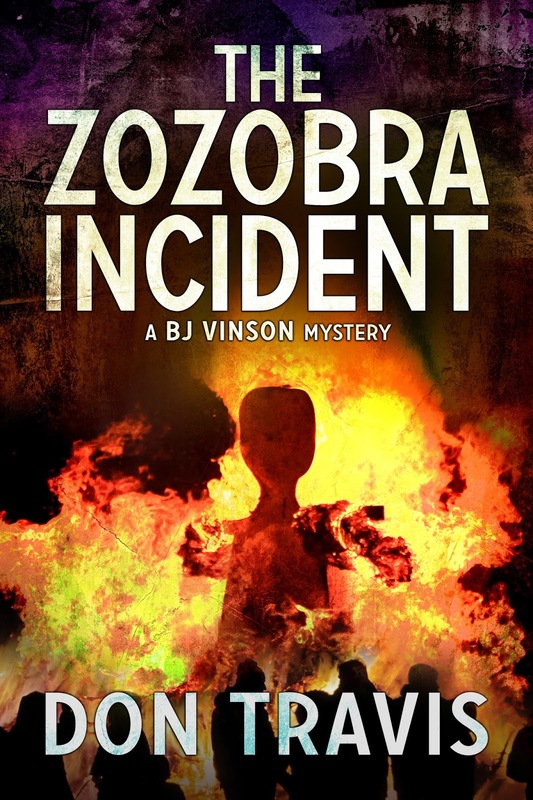 I apologize for another reprint (and promise to use them more sparingly in the future), but I want to complete my introduction of the major characters from both the book, THE ZOZOBRA INCIDENT, and the BJ Vinson Mystery Series. Remember, DSP Publications is giving rebirth to the novel (and the series) beginning November 15. Last week, we learned about BJ, our protagonist, took a look at Hazel Harris, his secretary-office manager-surrogate mom, and met Del Dahlman, BJ’s first love and first bitter disappointment, who is now a successful Albuquerque attorney. We will see these characters throughout the series. We also gained some insight into Emilio Prada, the handsome gigolo responsible for breaking up BJ and Del. Now let’s look at some other individuals who populate BJ’s world. Detective Eugene (Gene) Enriquez is just shy of his forty-first birthday when we first meet him. A local (he was born in Bernalillo, a town fifteen miles north of Albuquerque), Gene is stocky, five-seven, and weighs 155 pounds. A Hispanic, he has vaguely Polynesian features a lot of women find attractive. After his army service, he goes through the Albuquerque Police Academy and is sworn in as an officer. He walks a downtown beat and even rides horse patrol for a short period, but his ambition is to become a detective. Some years after he achieves this goal, he finds himself assigned to a new partner… a gay partner. B. J. Vinson. It bothers him at first that BJ, who could have passed as a hetero, doesn’t bother to deny his homosexuality when asked about it. Before long, Gene comes to admire his new partner’s honesty. The guy is gay, and that’s that. Once Gene learns he can trust his partner’s judgment and instincts, they get along professionally and socially. Gene takes some flack from other cops about riding with a queer, but Gene is married to Glenda, an attractive woman with whom he has five kids. He figures that all the cover he needs. He takes it hard when BJ nearly dies while they are apprehending an accused murderer, but he keeps in touch when his partner takes medical retirement and opens a confidential investigations office. He is one of the few people who knows BJ inherited a fortune upon his parent’s death. We’ll see Gene again. Paul Barton looks Hispanic to Anglos and Anglo to Hispanics. When BJ first meets him, the family name “Barton” takes him by surprise. He expected it to be a Spanish surname, but it is Paul’s mother who carries the Latin blood. Paul was born on June 13, 1985 in Albuquerque’s South Valley. That makes him twenty-one at the time of THE ZOZOBRA INCIDENT. BJ first spies him with a cowgirl on the dance floor at the C&W Palace, Albuquerque’s biggest book-stomping joint. Drawn by Paul’s good looks and lean frame, BJ later realizes the kid is the new lifeguard at the North Valley Country Club where he swims as therapy for the bullet wound in his thigh. Once the connection is made, their mutual attraction soon becomes evident. This is the first time BJ has been tempted since Del’s betrayal. Paul is not only a lifeguard, he is also a full-time student at UNM pursuing a degree in Journalism. In addition, he works in the school’s cafeteria so he can live on campus his senior year. Paul is 5’11” and weighs 155 pounds. He has brown eyes, brown hair, and a swimmer’s build, A small dragon tattoo decorates his left pec. Fiercely independent, he drives an old Plymouth coupe even though BJ offers to buy him a more recent model. He’s an expert swimmer, plays soccer and golf, and loves to dance. His father, Paul Barton Sr. was a carpenter who died of TB when Paul was ten-years-old. His mother, Luisa Marta Arrular de Barton, works two jobs while raising her son. He is exposed to gang activity in the South Valley, but resists the temptation to join. Once Paul and BJ get together, Paul is absolutely devoted, even though there are some stormy times ahead. Needless to say, we’ll see Paul in future novels. And then there is the surprise fun character. The widow Mrs. Gertrude Wardlow has lived across the street from BJ for as long as he can remember. He considers her as a frail, diminutive old woman who wears her white hair like a helmet and speaks in a thin, tremulous voice. But when the chips are down, he learns she and her late husband Herb were both retired from the DEA and that she still has the spirit as well as the will of a fighter. She is a continuing character. This is the last of the reprints for a while. Let me know what you think at dontravis21@gmail.com. A hoorah to all readers.